Park believes the constant change in healthcare is what makes his job both exciting and rewarding. 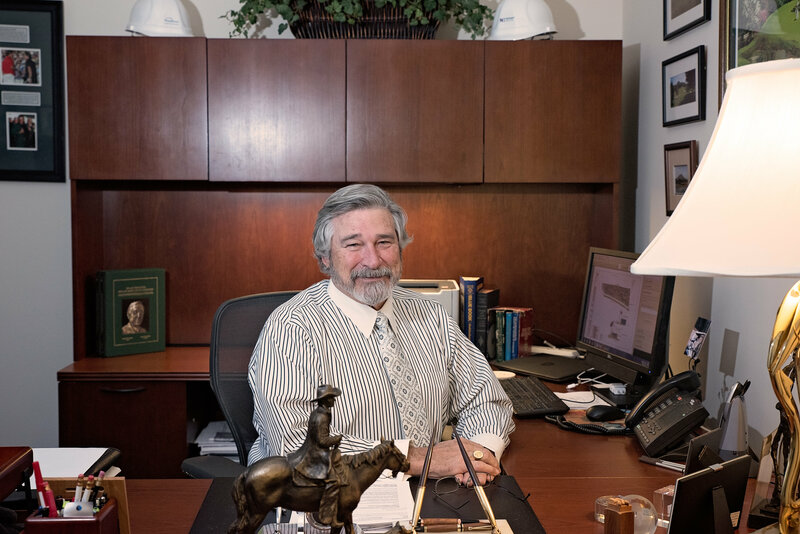 Managing millennials doesn’t faze this Winston-Salem-based family man. 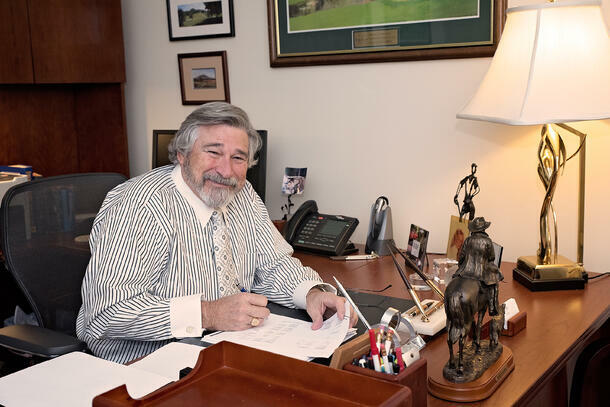 Since he began his career in the late 70s, he’s witnessed profound changes in the workforce and adapted his leadership style "more than a few times." In fact, he believes the constant change in healthcare is what makes his job both exciting and rewarding. 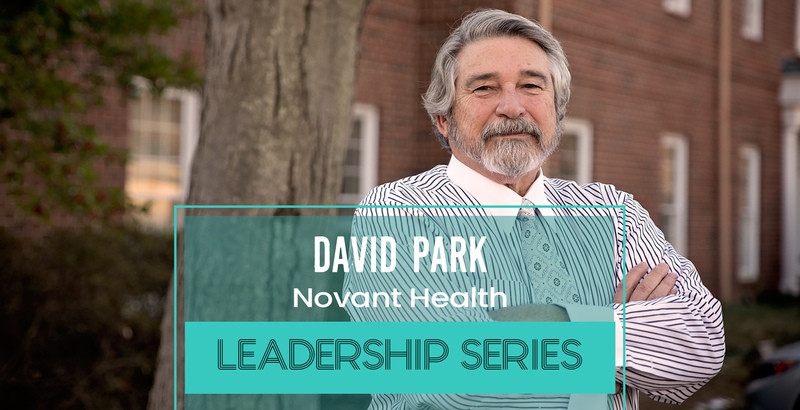 We caught up with Park, who is responsible for the growth within Novant Health's real estate, design, construction, maintenance, public safety and transportation functions, to get his thoughts on the transformation of care delivery, the qualities that define a successful leader, and the best piece of career advice he's received. You have a diverse background, from 20 years in corporate real estate to the textile and tobacco industries. Tell me about how you got into healthcare facilities. Fifteen years ago, BB&T had a piece of property that was adjacent to one of Novant Health’s hospitals. Novant wanted the property but we turned them down numerous times. 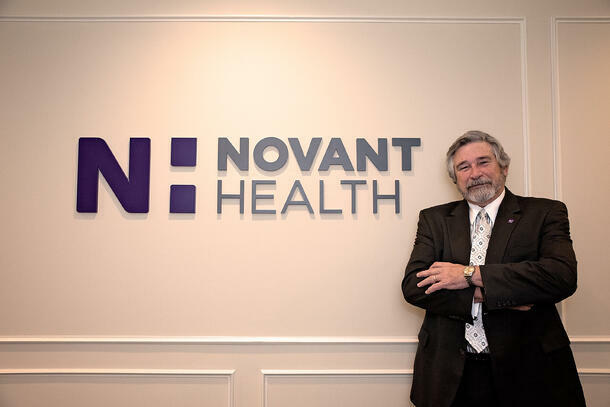 The COO asked me if I would sit down with the CFO and CEO of Novant, and at the end of the meeting, I shared that they really needed some help with their real estate. Like a lot of healthcare organizations, their solution was to simply throw money at the problem. What I thought was a short-term assignment turned out to be a 13-year partnership. I truly appreciate the mission of healthcare and I get a lot more personal satisfaction from knowing that I’m building hospitals that are helping people. What is the greatest challenge in your day-to-day role at Novant? 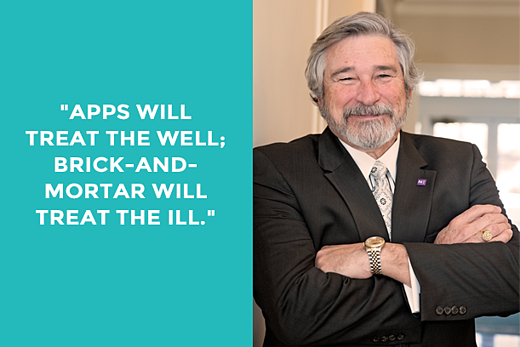 The greatest challenge for anyone in healthcare today is not being able to forecast what direction Washington is heading and how that will impact us. Real estate, for the most part, is a 10-40 year decision, where most everything else takes 5-7 years. For a lot of software, it’s three years, so all your IT equipment either depreciates off the books or runs its cycle. Really, just about everything in healthcare is changing every 3-5 years. However, real estate is still at minimum a 10-year decision, so it's both extremely interesting and challenging trying to make smart real estate decisions in an environment where you’re not sure what the regulatory landscape is going to look like from year to year. In such an uncertain market, how do you approach masterplanning? The growth for us is based on two things: the need of the patient and the need of the market. If you have an area underserved by cardiology or any other field, the natural growth is to fill a need. The second growth is coverage growth: you need to be in areas that you are not currently. Then, some of our growth is expansion because we have very successful practices that can’t take any more patients. So we will expand a new practice or support growth in that area because the population is growing. Growth follows the patient, as it should, and the strategy of the organization. What excites you most about the current transformation of healthcare delivery? The most exciting part would be the uncertainty. But if you take that equation out you have an industry in constant evolution. We’re seeing things we didn’t see 10 years ago, like online chats for doctor visits. The automation of the industry will continue to bring huge changes, but the challenge will still be overcoming these regulatory hurdles around what is healthcare going to be and how it’s is going be compensated. Other than the regulatory challenges, what concerns you about the future of healthcare in the US? There are a couple of things we have to improve on. We can’t continue to serve the population as we do today. The fee-for-service business model is not sustainable. All you have to do is look at the cost to the nation as a whole to see that we’re going to implode if we don’t get our arms around it. In my area, the challenge is all the automation that will impact the facility growth. When you asked what drives growth, if we get to the point where patients are carrying an app that can track and submit your blood pressure and other vitals, then over time, the brick and mortar side of the industry will be dramatically reduced to virtual offices. You’ll still need it for hands-on care, but I wouldn’t be surprised to see a lot of tests/processes for wellness checkups be replaced by automation. Automation goes hand in hand with meeting the demands of today’s consumers. With consumer-driven healthcare on the rise, how do you see the role of facilities evolving? I have to answer that from three angles. From the acute-care, hospital side, it’s going to grow to be more family-friendly. Healing outside will become as important as healing inside, meaning that we’re going to see more safe zones, gardening, walking paths, etc. The acute care side will see a number of areas that will transition. On the clinic side, what you’ll see is more combining of specialties. You go to see your general practitioner and in the same complex, you’ll get your labs and tests and whatever you need to do. That model started 10 years ago and is still improving itself to become more of a one-stop shop for the patient. That delivery will continue to become easier and more timely. Then, on the corporate side, your going to see real changes in the structure of the corporation. We’re going to be hiring millennials who have different ideas of how we should work. We’ll see more open offices and transparency in how we do things, more common areas that are creative and free-thinking. There’s a transition that’s occurring in all areas of design and construction in healthcare, and it’s just a matter of how progressive your organization is and willing to embrace this change. Do you think your leadership style has shifted over time? I think your leadership style shifts with maturity and wisdom, and also adapts to the folks your trying to lead. I started my career in the late 70s, where it was still a 1950s attitude: work hard and go home. There wasn’t a lot of opportunity for input and was very militaristic and dogmatic in structure. 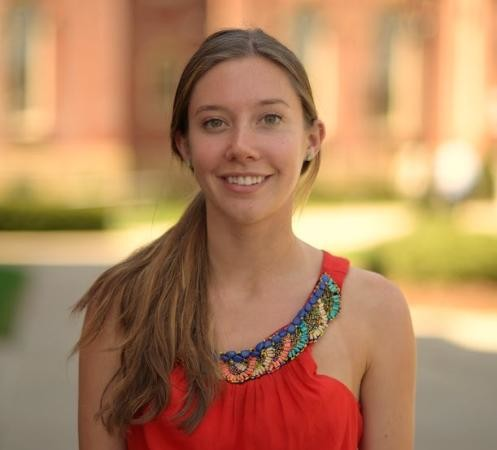 "Today the workplace is much more transparent, idea- and committee-based." If you don’t adapt your leadership, you become a dinosaur. Its interesting for people who have gone through the 70s, 80s, 90s and now. This transition of the workforce is not an unexpected evolution. The millennials are children and grandchildren of the adults of the 60s, so what you're seeing is that transparency and basis of the 60s coming through more today than it could then because it's generational. For those of us who can objectively analyze it, and objectively look at yourself and critique yourself, you're going to change, learn, and adapt to different environments. If you don’t, you’re not going to be a strong leader. Anyone who has been in the workforce for as long as I have has been adapting. For me, this is the third adaptation, as opposed to the first. From him, I learned the importance of being true to yourself and speaking your mind in a respectful, thoughtful manner. In your spare time, what are you most passionate about? I work in healthcare, so the answer I should give you is we have no off-time, but the truth is we all do have some. I’m in a leadership role on a number of volunteer organizations that I have a passion for around education and the betterment of children. My wife and I moved several years ago, so I have lots of leaves to rake and grass to cut, and the physical labor is very therapeutic for me. After working all week, I'm always very grateful to be able to go home, work up a healthy sweat, and see what I’ve accomplished. I enjoy golf; 10 years ago I would say it was my passion, but today I’ll tell you I’m just as happy to cut grass as play golf. Also, I was raised by a civil engineer who was also a master carpenter so my dad put the notion of "Why buy it when you can build it?" in me at an early age. But what I’m most passionate about is my family, my wife and two kids. All of my volunteer work centers around things my children were involved in, which I remain involved in even though they're adults and away from home. And I have a wife of almost 44 years, who has to be the most patient woman in the world to put up with me! So I’m very passionate about my family. What is the most interesting fact people would be surprised to learn about you? I don't know how to answer that because I don't presume to know what everyone thinks. From the panel discussions I've been involved in, I think what people are most surprised by are my straightforwardness, directness, and honesty. I think in healthcare over the years there's been a lot of indecisiveness and misleading contractors, architects, and designers. Some may say I shoot too straight, but I make it a personal goal that when someone leaves my office they know where they stand, if they have a shot or not. I think it's what's most fair to others. It doesn't always bode well when vendors don't hear what they want to hear, but that's part of the job.